June | 2017 | Quilting my way through life! We had a great show in Kansas City! We met so many nice quilters & sold lots of patterns & templates! Our rental was a new mini van, so our travel was very comfortable. I’ve taken to photographing our rentals in case I need to know the license # I have it on my phone. What a great venue though when we finally got there. The convention center is in a very nice area, with free parking! And there are two hotels on either side of the convention center that you can walk next door to. Hauling all of our “stuff” was very convenient. We went to work quickly setting most everything up so we could relax that evening. inventory control & dinner coordinator! 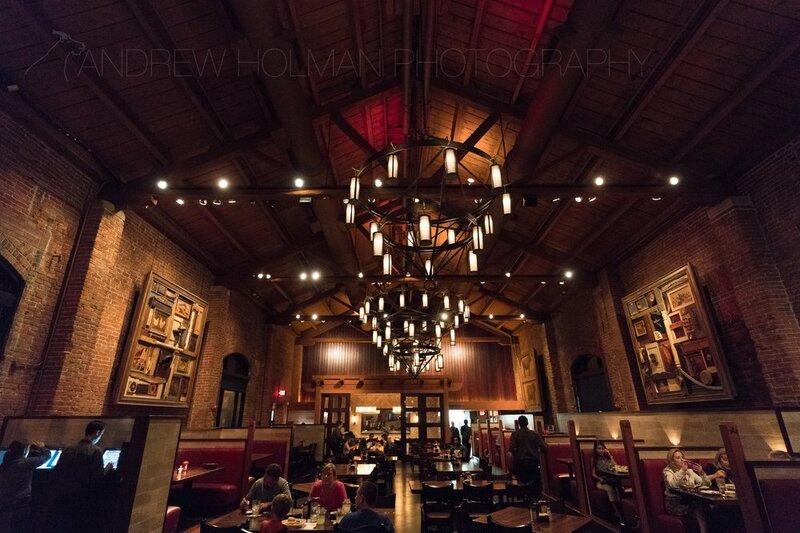 Fiorella’s Jack Stack BBQ was our favorite dinner spot. Their BBQ is delicious & the atmosphere is outstanding! There is a location in Overland Park very near the convention center, but we’d been to this location before & wanted to eat there again because it’s so cool! Now we’re back home & back to the grind. Summer is in full swing here & I just noticed that today is the longest day of the year! It makes me a bit sad knowing the days will start to get shorter, wahhhhh. Our best seller was my new “Dresden Flags” pattern. It contains 2 sizes of flags that just happen to have Tiny Dresden plates in the field. we also have the 12″ stand by Ackfeld that you can display the smaller flag on. See my website for all this goodness if you didn’t get one in Kansas City! I’m needing to show you all of my new patterns. I have no idea who stitched such a lovely piece then never finished it into something useful. I was so excited when I found it as I straightened up a table full of linens after the first day of our church’s rummage sale exactly a year ago this week! I could not believe the stitches that went into the house & trees. The satin stitches in the letters are just lovely. I did have to fix one thing though. One of the French knots was missing! That’s mine in the green circle, lol. I starched the piece and squared it up then had to decide what fabric to use for a border. So I checked my pathetic stash of blues to no avail. But I’m no blue kinda girl so I then quickly looked at reds… Now those I can do! I quickly found the perfect one. I had just used this one in a quilt for my new book so it was close to the top of the pile & perfect. and there the poor thing sat again. I took it to several quilt meetings asking my quilting friends their advice for quilting. This is where I fail miserably. I don’t do vintage work, hand work, nor much of any quilting. came to help me with market in October she saw it & knew just what to do with it! Duh! She is a hand quilter & quilts for hire! You should check out her website for info if you have something you want hand quilted. She took it home with her to do her magic on it. I love how she did the crosshatch in a diamond pattern not a square as I had imagined it. It looks even better than how I pictured it in my mind. Unfortunately by the time I got it bound, it was almost time to decorate for Christmas. So finally a couple of weeks ago I was able to hang the quilt in its place of honor in my kitchen. It goes perfectly with the little sign Clare bought me which has a line from the Julie & Julia movie that we both love. More recently for Mother’s Day Clare also found the old sifter & Julia Child’s cookbook that coordinates and then last week I found the cookie cutters, eggs & the “In God we Trust” sign that found their way to the shelf quite by accident really. I buy what I love and then try to do something “useful” with them. It’s in a good place of honor now. I like how things sometimes come together in a very round-about way. If you need a project hand quilted by someone with excellent workmanship contact Robin. She’ll do a wonderful job!